I love when my clients ask me to design a kitchen for them. Not only has the kitchen become the heart of the home and the hub of modern life but it’s a wonderful design challenge for any designer. A well designed kitchen has to incorporate so many factors to be a successful design. The designer has to think about all the activities that need to be catered for, from cooking and entertaining to cleaning and getting homework done, and has to mix a myriad of finishes and surfaces to deliver a harmonious look. The kitchen pictured above was a great design challenge as its original layout simply didn’t work for the family that lived there. 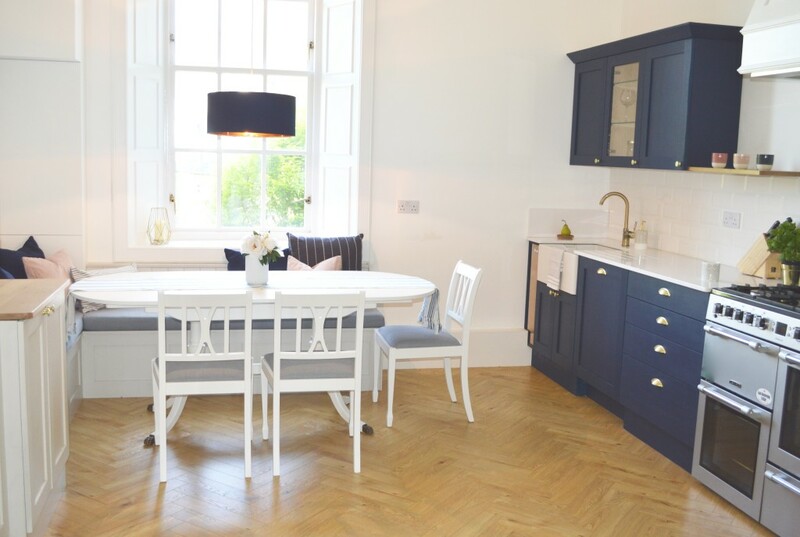 The previous dining table was behind the door and cramped, and the space was cut in two by a peninsula unit. In order to solve the practical issues and offer a beautiful kitchen to boot, the solution was to flip the kitchen around, placing the dining table in the best spot beside the window with a built-in banquette seat wrapping around two sides to allow for flexible seating for entertaining family and friends. I managed to find a perfectly sized vintage table which has rounded ends which work really well with the banquette, allowing easier movement around it. We had the table refinished in a hardwearing white so it can be witness to many memorable family dinners and parties to come. The chairs are also refinished vintage pieces which we had painted and reupholstered in grey linen. Although you often focus on how chairs look from the front, it’s often important as you can see here to ensure that they look as interesting and attractive from the back too! If there’s a colour combination I go back to time and again, it’s blue and white. And I know I’m far from the only one who is drawn by this quintessentially chic and fresh combination. 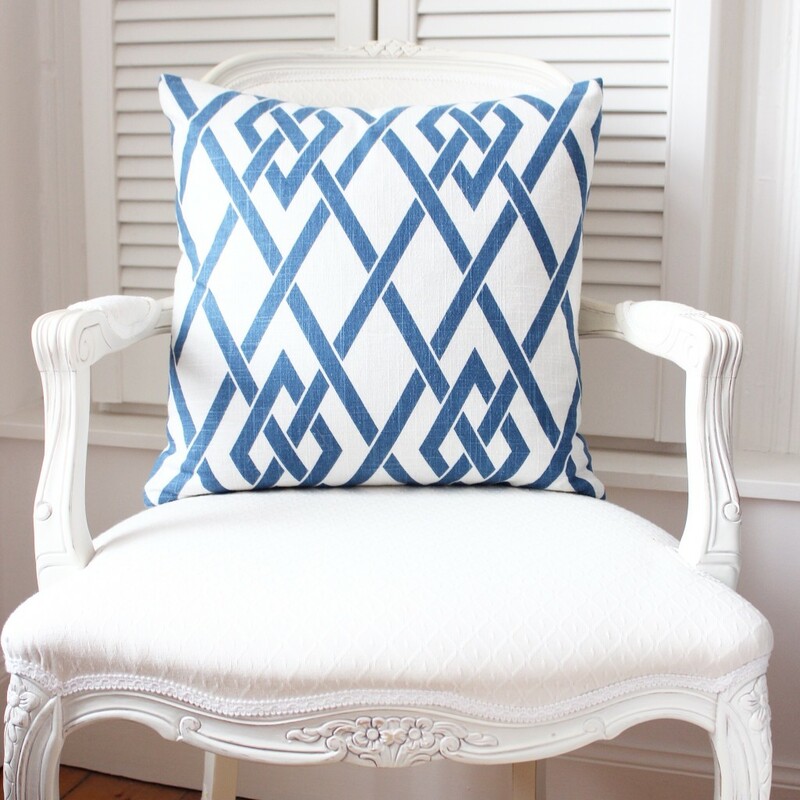 Many other designers and tastemakers also cite their love of this classic pairing, from Aerin Lauder to Mark D Sikes to Susana Simonpietri of New York Design firm Chango & Co.
To me, blue and white is quite simply one of the best summer-fresh bases for a room and you can add other colours – blush pink or celadon green, for example – depending on your taste and style. 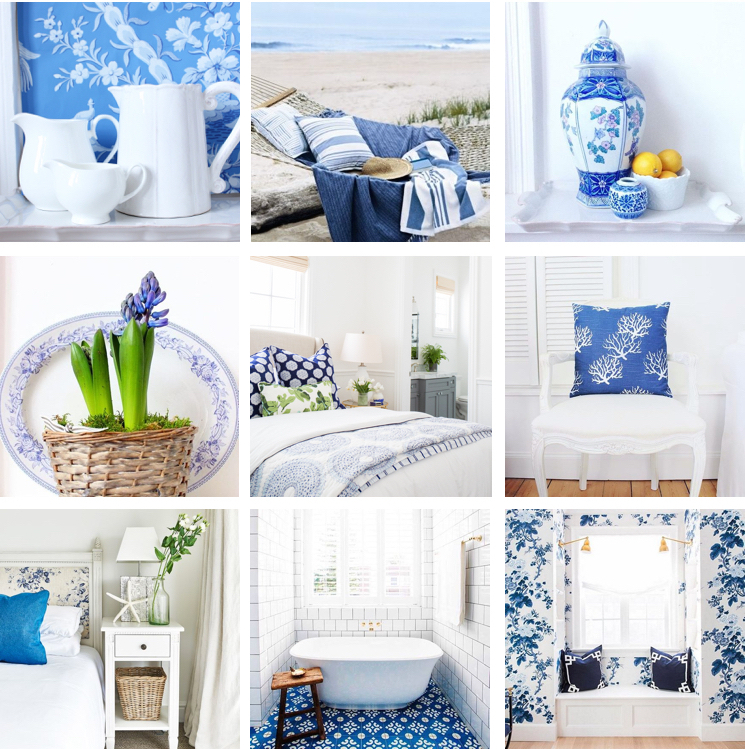 And if this post has left you feeling inspired and it’s time to inject some blue and white loveliness into your home then please get in touch and tell me what you’d like to achieve. Whatever your plans and dreams for the coming year, I wish you every success and I hope your home is a source of warmth and comfort on cold days, a sanctuary when the world seems so busy and a welcoming haven for friends and family. I was asked recently to update a tired kitchen on a pretty small budget. Paint is one of your greatest allies when freshening up any space and, even as a designer, I’m always impressed by the difference it can make. 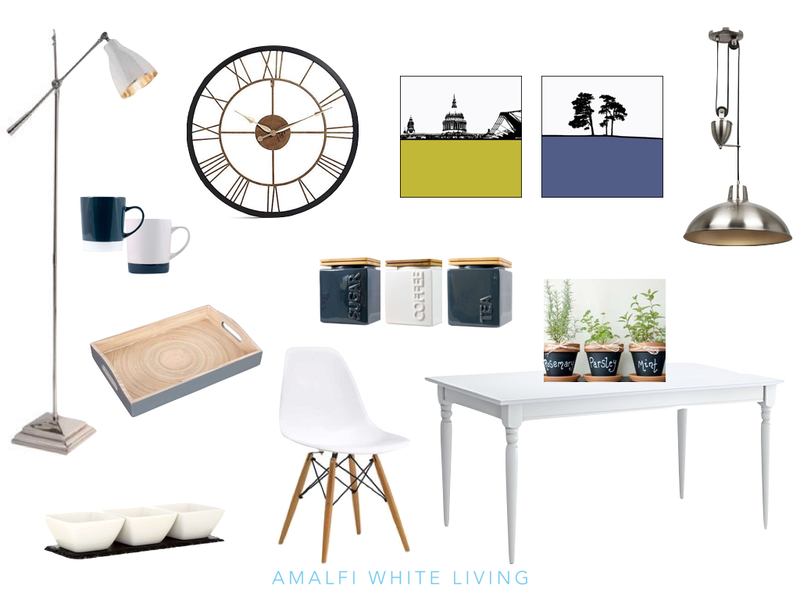 In a kitchen, I think fresh white walls are a perfect backdrop to most schemes. You could also consider having kitchen cabinets painted, either by hand or professionally sprayed, as it can give a dated kitchen a whole new look at a fraction of the price of a new kitchen. And once you have used paint to freshen up a space, then you can start to style it and add the touches that bring it to life. Here’s the moodboard I did for my client. 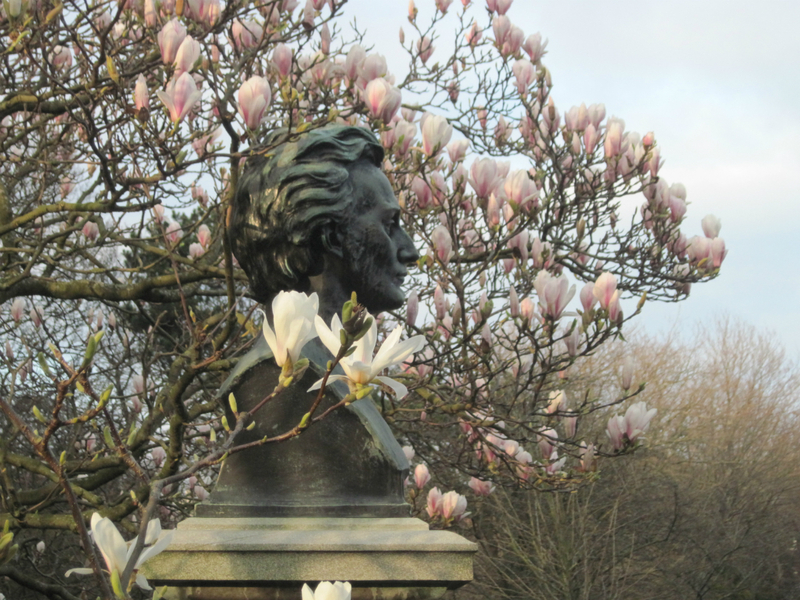 There’s something very special about the official start of summer and the 21st June Solstice (not to be confused with Midsummer’s Day which is a short few days away yet!). It’s no secret that I adore summer and everything associated with it. One of my absolute favourite styles of decorating is one I have dubbed ‘Summer House Style’ which is all about relaxed, unpretentious spaces which feel welcoming and enveloping yet are still ultimately fresh and elegant. To get a sense of this style be sure to visit my Pinterest board where I’ve been gathering images that evoke this ultimate summer style. 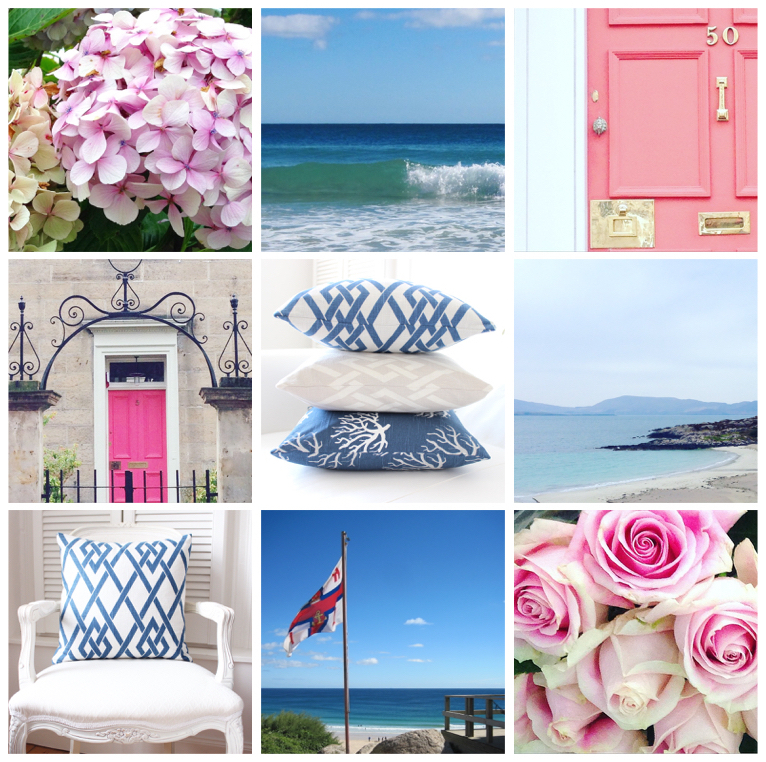 And if you’re ready to introduce some fresh summer style into your home, do get in touch and we can help to make your home feel like it’s summer all year round. 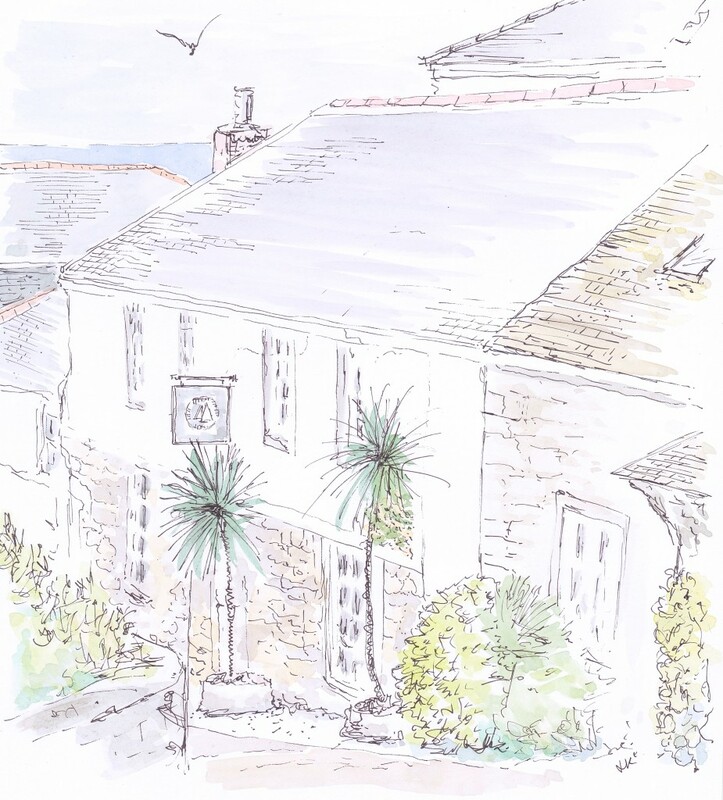 The Tide House boutique hotel in Cornwall is housed in a stone building on a pretty sloped street in the village of St Ives, occupying the site of the very first hotel in the village, built almost five hundred years ago. After a colourful life which has seen it as a house, an inn, a school and a doctor’s surgery, the building has now been beautifully restored as a tranquil coastal retreat. 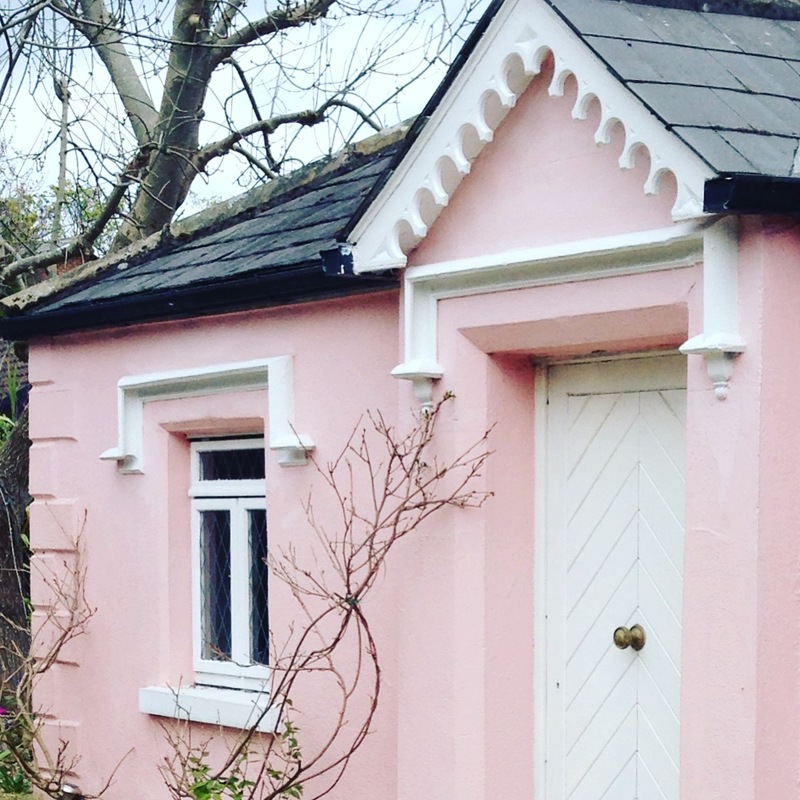 Owners David and Suzy Fairfield created this wonderful bolt-hole by the sea when they decided to relocate from London. They set about restoring and redesigning the hotel’s interiors at the same time as renovating a house opposite which was to become their family home. The interiors of both buildings bear a strikingly relaxed and luxurious coastal style created by Suzy. Trained as an illustrator, she has now turned her creative eye to interior design and the results are sublime. Once she had reconfigured the warren of rooms in the former hotel, Suzy layered greys and blues on a base of chalky shades, often seen in New England interiors, to create a haven of style with subtle nautical touches. My second illustration shows one of the many pretty public rooms where guests are invited to relax or enjoy a delicious breakfast. 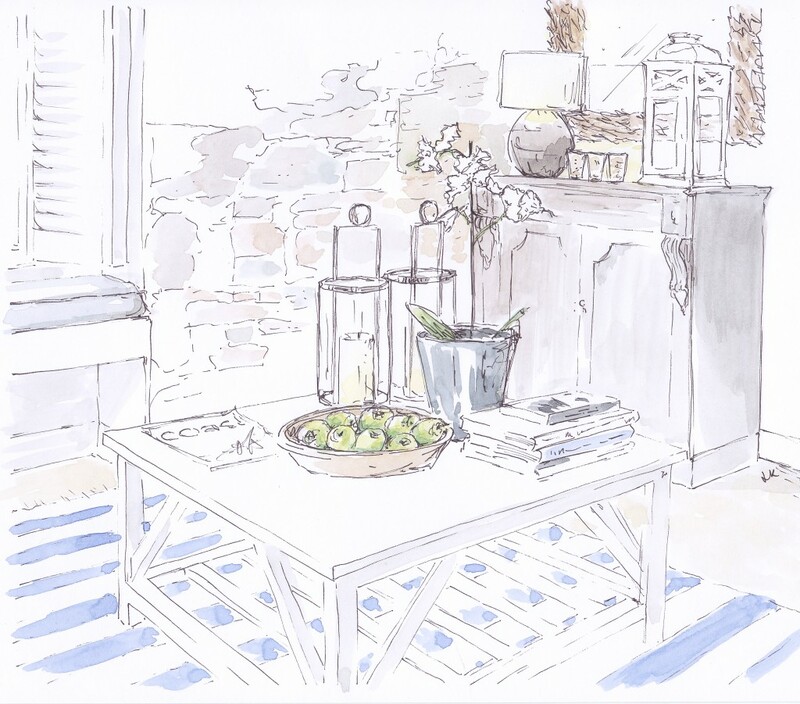 The blue and white striped flat-woven rug in the sitting room anchors the scheme and adds colour to the calm, neutral palette where weathered wood and rustic stone provide texture and interest. You can see more of the wonderful, airy public spaces here. The six en-suite bedrooms are each individually decorated in calm, chalky tones with pretty accessories and great lighting. I’m truly surprised that they don’t have a problem with guests simply refusing to leave! 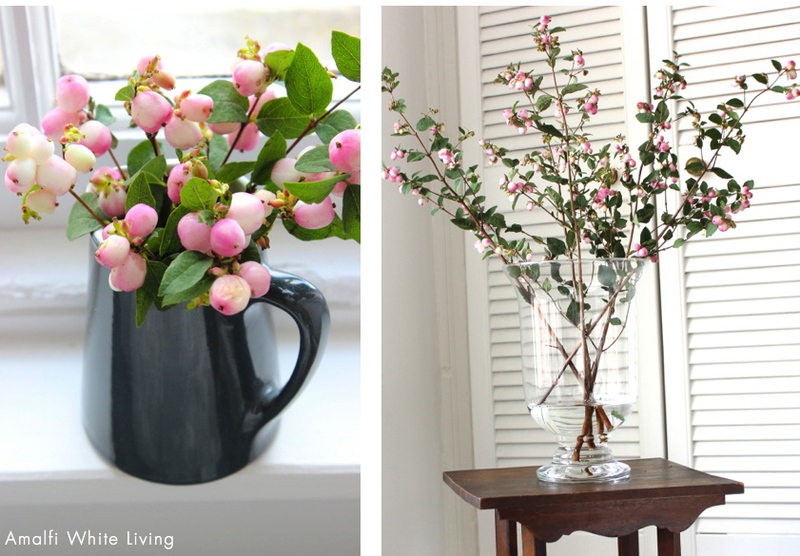 Flowers really do add a lovely quality to a room and if you look at the best interior photographs around, they’ll invariably boast impressive flower arrangements which complement the space. 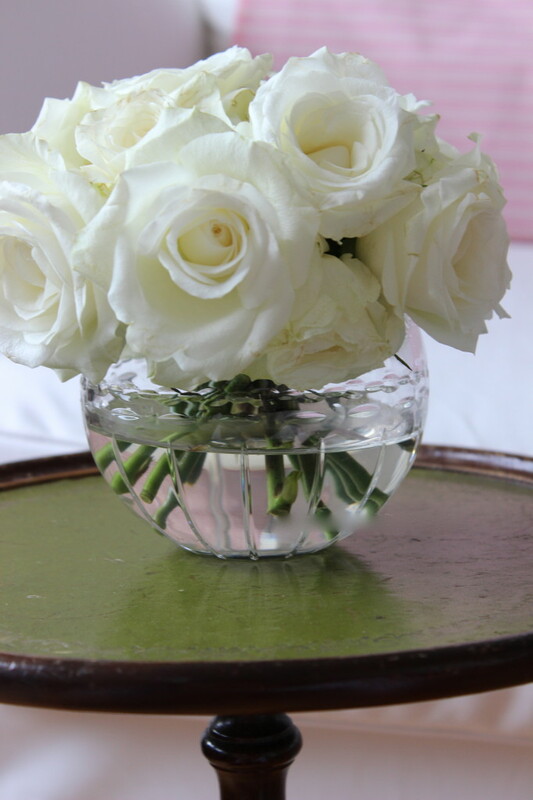 I was given these white roses the other day by a good friend and it gave me the opportunity to use a wonderful globe-shaped cut glass vase given to me by another friend a few years ago. They make me smile every time I look at them. 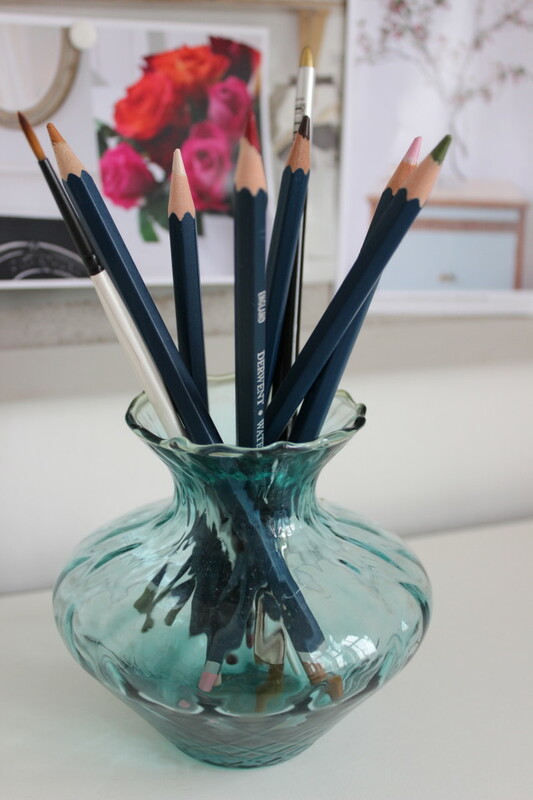 I spend a lot of time at my desk so I like to surround myself with things that make me smile like this blue-green vase which I found in a charity shop a few years ago. I had no idea how I would use it other than as a small vase for flowers. That was until I needed something to hold some pencils on my desk one day. I love the way they flare out and the colour of the barrel of the pencils even matches! It’s now a fixture. 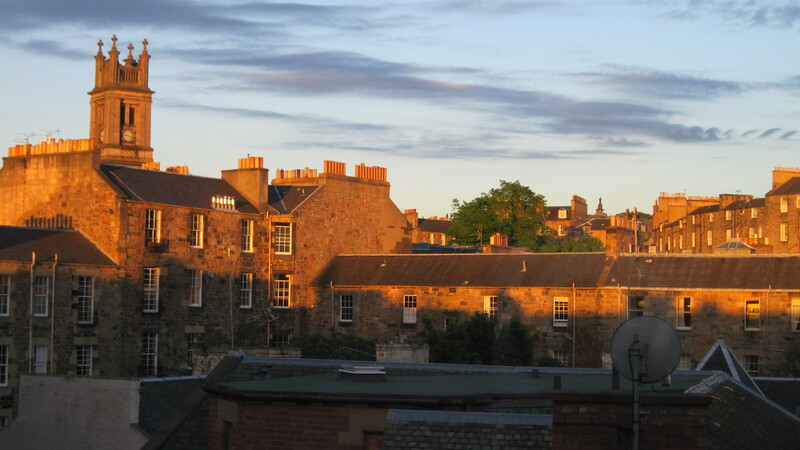 My high-ceilinged top floor apartment in Edinburgh has a lovely view out over the rooftops of the Georgian ‘New Town’. Here you can see my view bathed in late evening light while swallows dart to and fro (though I couldn’t capture them in the shot sadly!). 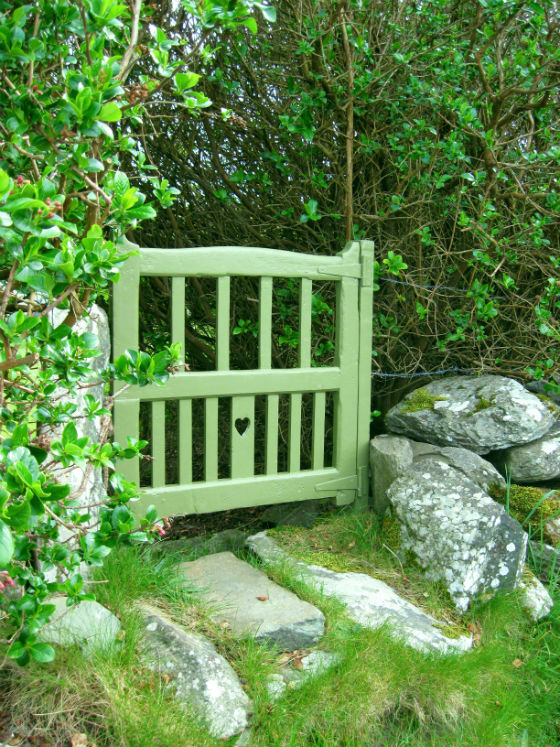 There is something utterly romantic about a garden gate, either at the entrance beckoning us in, or within the garden itself, inviting us to discover hidden corners or maybe even a secret garden. 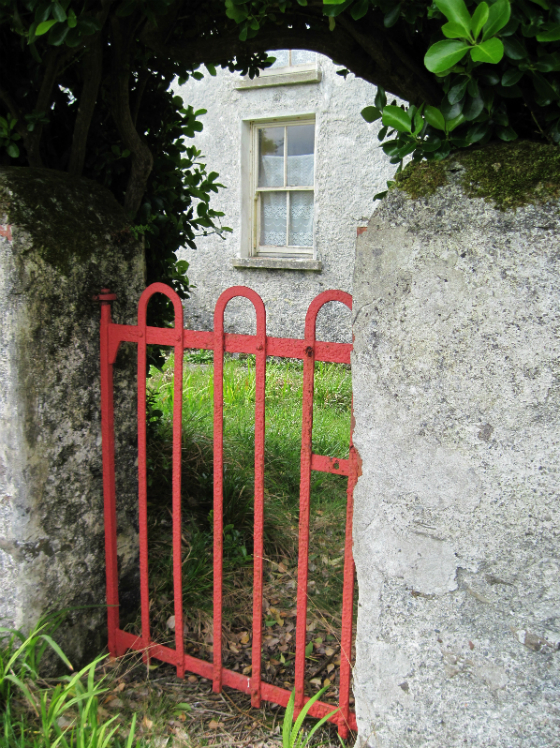 I came across both of these wonderful gates on a visit to an island off the coast of Southern Ireland. 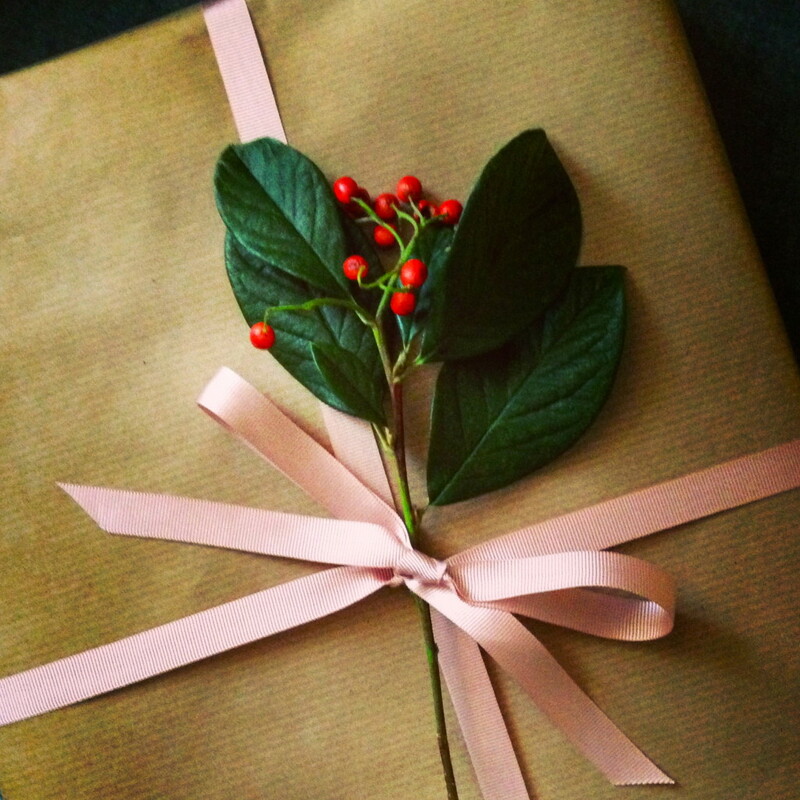 I love the fact that both are elevated above the ordinary with the simplest of touches – the bright coral colour making the first one stand out like a jewel against the green and white of its surroundings, the second with its mini love heart which someone has taken the time to carve.